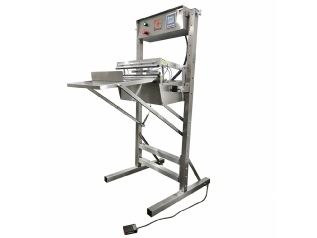 Industrial vacuum heat sealers in vertical and horizontal orientation All industrial vacuum impulse heat sealers are pneumatically powered and features a low pressure safety close and redundant emergency stop features. 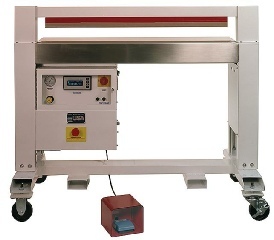 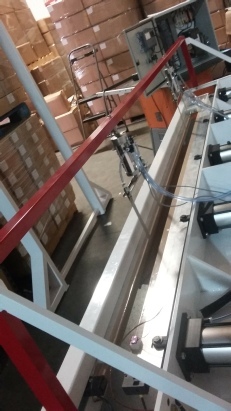 Ideal for vertical bag sealer, reducing atmosphere in tall packages or freestanding liners in drums or boxes. 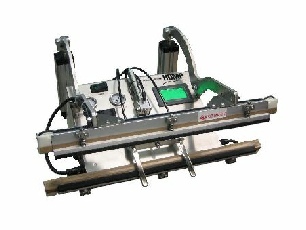 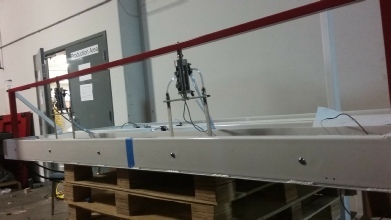 Heat sealing jaw for vertical sealer, is height adjustable and perfect for manual or conveyor operations.